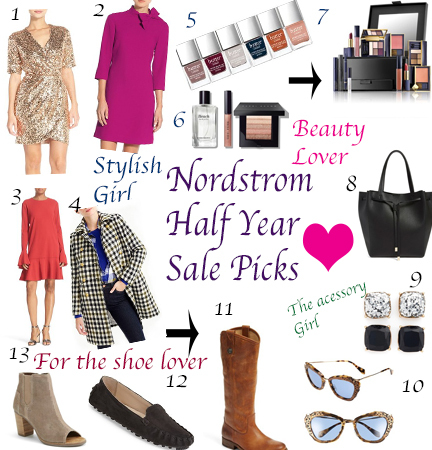 The Nordstrom Half Yearly Sale is a favorite of almost every fashionista. It is the time of the year here you can refresh your wardrobe with a couple of new items of the season at a fraction of the cost. So why not? Nordstrom has some great buys and I am planning to partake. My picks from the sale are this great Maggy London dress, or this comfy robe from Betsey Johnson. I am also loving this midi dress by Toyshop. What are some of your favorite picks from the Nordstrom sale. Shop mine below.